© 2011 Recipes and a Fork. All rights reserved. Don’t let lemons go to waste. Before squeezing lemon juice onto grilled fish, into salsa, or any other dish, use the lemon peel as the main ingredient of a sweet treat. 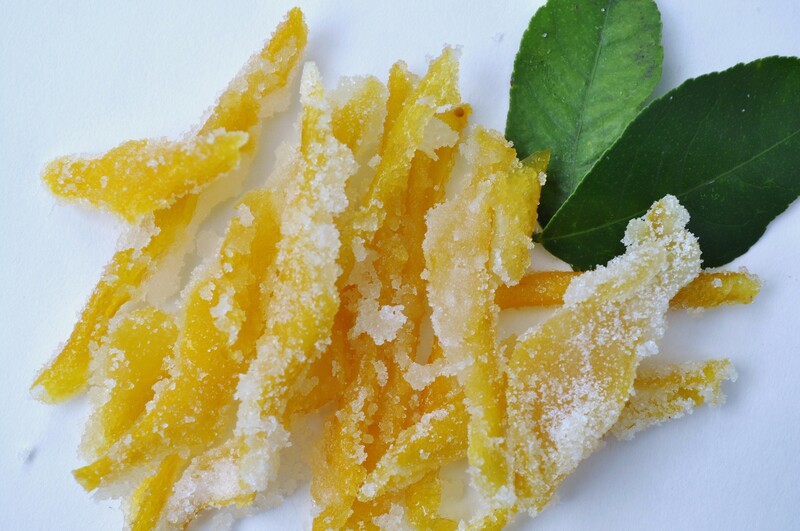 Candied Lemon Peels are tart yet satisfy the sweet tooth. This recipe can be turned into an easy afternoon activity with family and friends. 1. Scrub lemons clean. 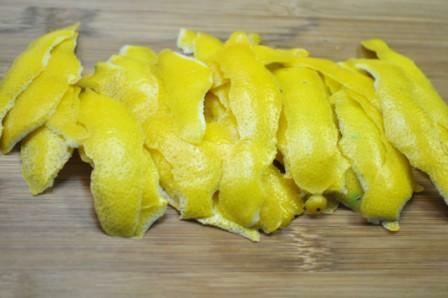 Using a vegetable or potato peeler, peel lemon rind from top to bottom for a 1/2″ inch width peel. 2. To blanch the lemons prepare boiling water and ice water: boil 2 cups of water in a pot; in a separate bowl, place 1 cup of ice water. 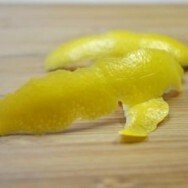 Place lemon peels in boiling water for 3 minutes. 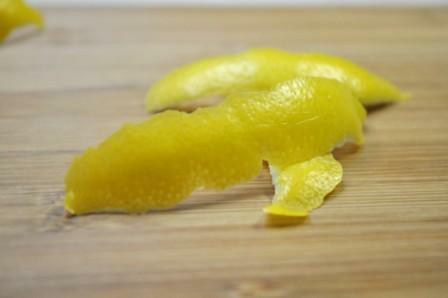 Remove peels from boiling water and place peels in ice water to cool for 1 minute. Remove peels from ice water. Using a butter knife, scrape pith from peel. Set aside. 3. 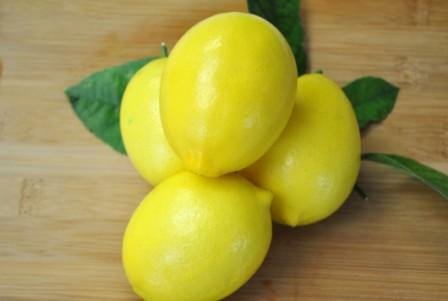 Squeeze ¼ cup lemon juice from a lemon(s). To prepare syrup, pour lemon juice, ¼ cup water, and ½ cup sugar into a sauce pan over medium heat. Stir mixture until sugar dissolves. Add peels to syrup and cook on low heat for 10 minutes. 4. Add ½ cup sugar on a small plate and place parchment paper next to the plate. Using a fork or tongs, remove syrup-coated peels in batches and place directly on to plate of sugar. 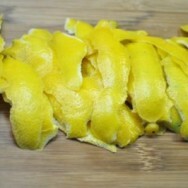 Roll peels in sugar to coat. Place sugar coated peels on parchment paper to dry.